It’s hard to know where to begin this story because there are many facets that reflect the many colliding cultures of the Renaissance. It’s also difficult for a modern person to get into the mindset of Medieval Europe because it was so drastically different than what the modern world is like today. Imagine a world without science, a world shaped by myths and superstitions, where both long-distance travel and communication are slow and difficult. Imagine a world ruled by the medieval Church and its constrained worldview. Imagine a world where medicine is part prayer and part folklore. This is the world that our story begins in but it’s a very different place from where it ends up. 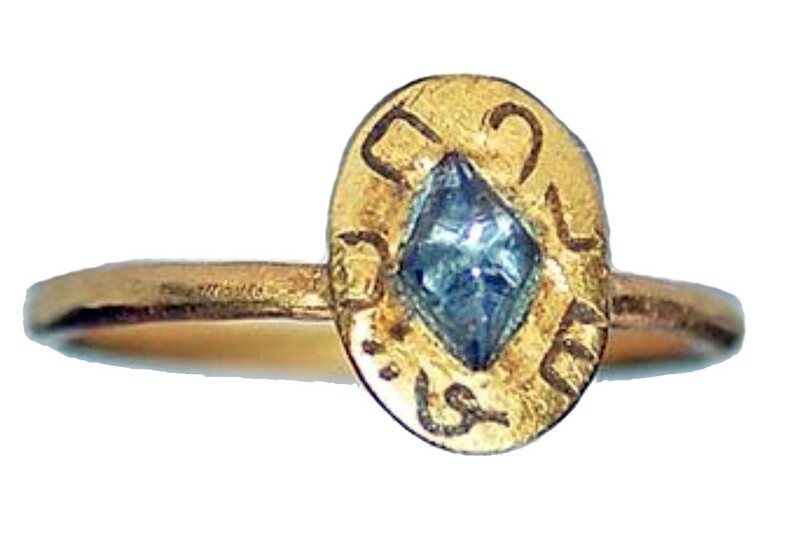 Talismanic Ring (1400’s). The Sapphire and symbols were said to protect the wearer from harm. The Medici dynasty of bankers were the ruling family in Florence, Italy in the late 15th century. Under the patronage of Cosimo de’ Medici, arts and culture were flourishing. Cosimo had a strong interest in philosophy, particularly Humanism and Platonism. The various philosophers he was in contact with inspired Cosimo to sponsor a modern version of Plato’s ancient Academy. This Neoplatonic Florentine Academy was a sort of club for modern thinkers, philosophers, and mystics to get together, read ancient texts, and discuss their ideas about life and the nature of human beings. At the head of this new Academy was Marsilio Ficino, a scholar, priest, and philosopher who was versed in many languages. Ficino was interested in finding the True Philosophy, a grand unified theory that would unite all of mankind. He was working on translating the ancient philosophical writings of Plato and Socrates from Greek into a more widely readable Latin when something a little more unusual came to him for translation. 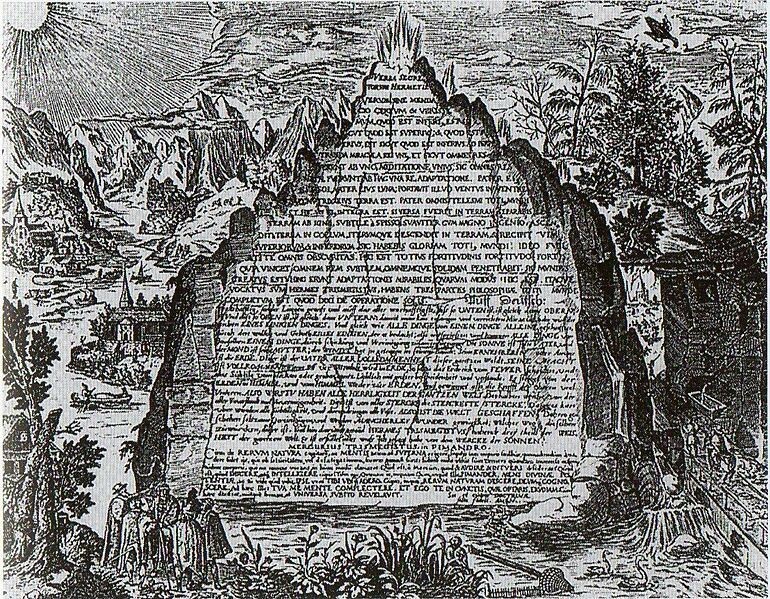 His patron, Cosimo de’ Medici, presented to him a collection of Hellenistic Greek documents now known as the Corpus Hermeticum. Ficino put his other translations on pause to begin translating these new texts that were said to have been written by a figure with godlike knowledge and impeccable credentials, Hermes Trismegistos. Hermes Trismegistos was, at the time, considered to be a contemporary of Moses and was thought to have been the originator of all philosophies. You can imagine that when Ficino and his Academy started to read these newly discovered manuscripts they got very excited because they seemed to contain the root of the universal philosophy that they were pining for. The introduction of these ancient texts and their mystic content into the philosophical vernacular of the Hermetic Academy had a major influence in kicking off the spiritual and religious revolution of the Renaissance. We must remember that the Middle Ages was a time when the Church dictated much of the worldview and morality of the Western world. These new influences are partially the reason why we recognize a cultural shift from the Middle Ages into the Renaissance. 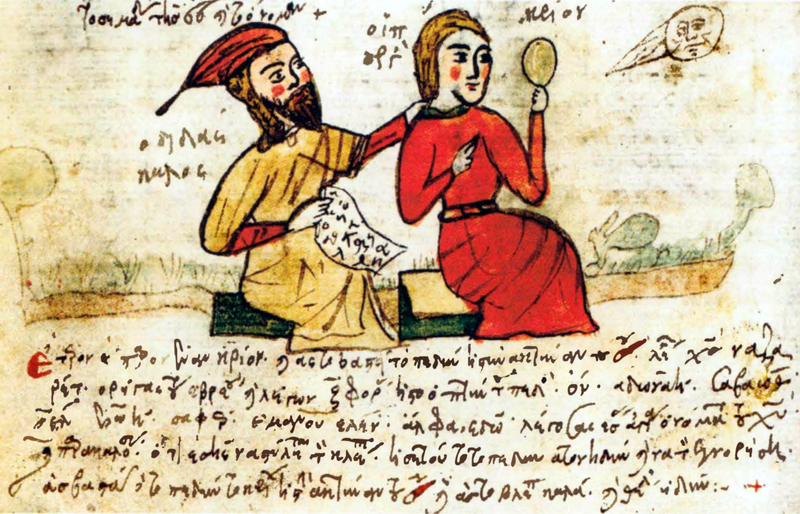 When we look back to the Renaissance, we typically remember the great developments that happened in art but we must also recall that the Renaissance birthed modern science and that without the change in worldview that these occult manuscripts provided, science may not have been able to develop as it did. The ancient documents that Ficino was translating provided a worldview that the medieval Christian mentality hadn’t been able to consider before. The Hermetica offered a model of reality in which the Earth and the Heavens were intrinsically linked and could affect one other (“as above, so below”). The prevailing idea at the time was that God controlled the world and that anything that happened was the direct result of God’s Will. This new idea that man could somehow directly shape his life and also the world around him was not only revolutionary but ultimately liberating. Over the next few hundred years, man would go from being a purely receptive being in a universe that was completely controlled by his creator into a creator himself who could dominate and shape the Earth and its events to suit his own desires. This began with the idea that man could affect the outer world along with his own internal world through the act of magic rituals and slowly evolved and influenced what we now know as scientific inquiry and the scientific method. The introduction of these ancient Greek and Egyptian ideas were explosive in a culture that was ready to explore the world in new ways. In figures like Medici and Ficino, we see an obvious yearning for ancient knowledge and they were searching all over the Western and Eastern world for it. The medieval mindset was the perfect breeding ground for a new magical outlook because the common populous already considered the world to be run by hidden, divine forces, so it would have only taken a small but powerful mental step to assume that Man might be able wield the “power of God” in order to influence the world through his own invisible, divinely appointed powers. Through the study of the Hermetica, along with other ancient texts that had been imported to Europe and translated such as the Emerald Tablet and the Hygromanteia, the Renaissance reader is given a new context for a world in which magic is not only possible but necessary. The manuscripts stated that by analyzing oneself, you could understand Nature and by analyzing Nature you can understand yourself. In order to be able to affect the world in a magical way, you must be able to see it for what it is, and in order to do that you need to develop a pure perception. Ficino and his Academy learned that Man must be initiated into seven spheres, related to the planets and their influences, in order to purify the soul and enable the pure perception that they sought. The further Ficino and his associates got into these new Greco-Egyptian inspired mystical realms, the more adventurous they would become in their magical experiments. Ficino would take his best and closest students into his meditation chamber and perform magical invocations to move their spirit through the seven spheres in an attempt to purify their soul. Since Ficino had been a Catholic priest, his rituals were a sort of experiment in liturgy. He would fill the chamber with objects that were related to the sphere and planet and God he was trying to invoke. The material in these texts sparked an interest in Astronomy, Astrology, Alchemy, and Theurgy (the magical practice of invoking or evoking a God or spirit). 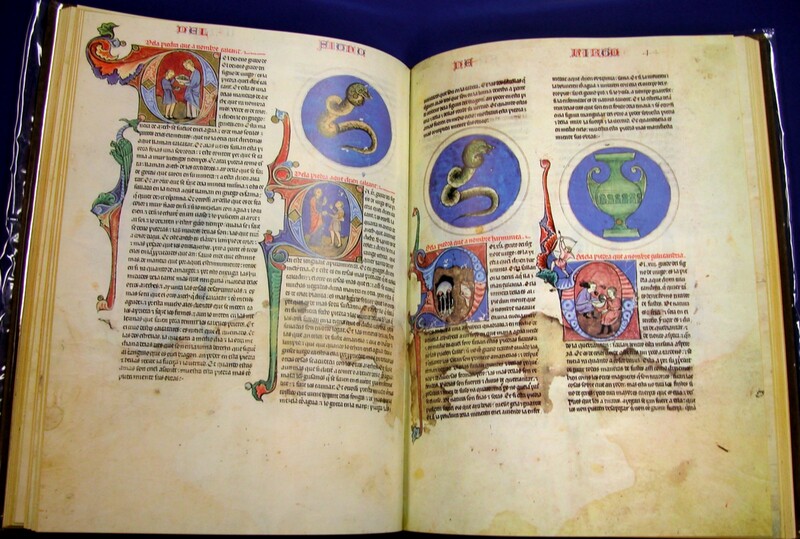 The translation of the Hermetica was published in 1471 and was one of the first books to ever be printed after the Gutenberg Bible. After being hidden for over a thousand years, this ancient occult philosophy quickly spread all over the Western World, inspiring mystics, writers, theologians, and painters. 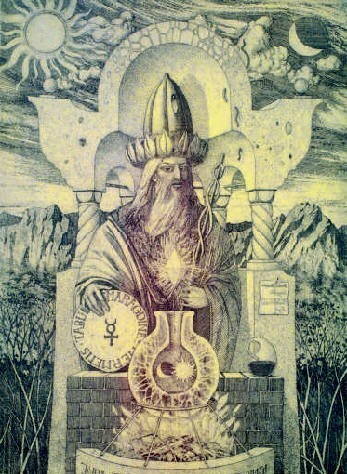 Hermetic Magic was born! The influence that these texts had on popular culture was huge: By the 16th century, over 30,000 people in Paris alone identified as a magician, astrologer, or sorcerer. 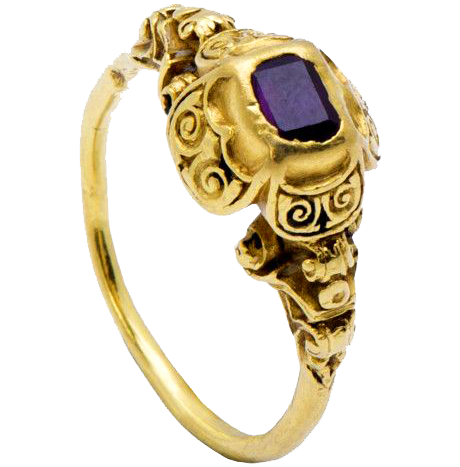 Emerging from the Medieval period, gemstones were extremely charged magical artifacts. The gemstone was a symbol of divine power and seen as the perfection of God’s creation of the world. 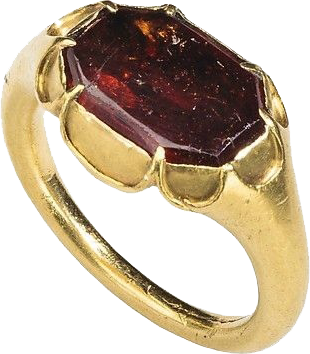 The glowing light that radiated from a Ruby or Garnet cabochon not only represented the beauty of the stone and the perfection of nature as created by God but it was also thought to reveal to the wearer a reflection of Heavenly and Divine beauty and perfection. The reason why gemstones have more magical power than anything else is because their luminescence and transparency resemble the appearance of heaven. 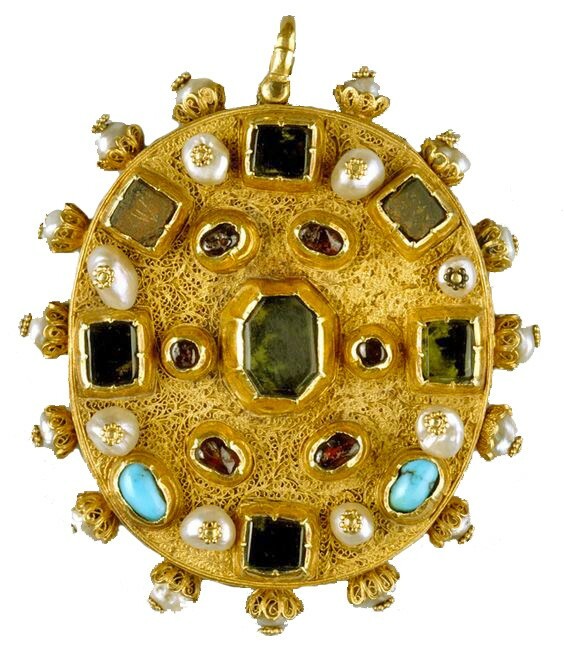 Medieval man believed that light radiated out of gemstones and that this light contained “magic” powers of the divine, so most stones of that period were cut as domed cabochons to enable the strongest glow they knew how to facilitate. 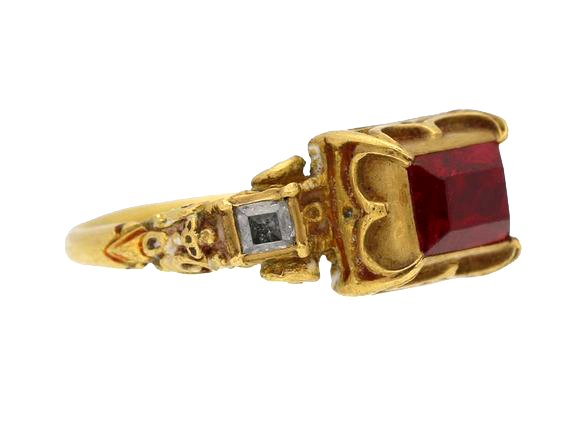 Throughout the Medieval and Renaissance periods, there was a continued use of light in texts as a metaphor for the Divine and this helped the gemstone achieve the status of an ultimately valuable and divinely important item. In the Middle Ages and into the Renaissance, tomes were compiled listing the magical and healing properties of gemstones. These books were called Lapidaries and the tradition of recording this type of magical gem knowledge goes back 2300 years to ancient Mesopotamia. Until the Renaissance, these lapidary manuscripts were very classical in composition and content. It wasn’t until Ficino published his de Vita Coelitus Comparanda in the 1480's that lapidary knowledge was infused with fresh innovation: Ficino attributes the mystical power of gems to their relationship with and influence from the heavens. For Ficino, the planets have the ability to affect the mind and the health of the body. Aside from merely connecting stones to elemental energies and their associated healing qualities (Hot, Cold, Hard, and Soft), he asserts that they have much more specific powers such as resisting fire, invisibility, diverting lightning, endowing the wearer with wisdom, giving favor with princes, repelling poising, increasing riches, curing disease, fostering love, and calming tempests, among others. We can imagine that if Ficino is writing about the magical, astrological properties of stones while also leading ceremonies to move the soul through the seven Heavenly spheres, he is most likely using gemstones to enhance his rituals. Ficino’s lapidary text kicks off a trend of writing “updated” Renaissance lapidary books. These new interpretations of ancient lore and knowledge connected gemstones to various natural and magical forces and gave instructions on how to use them as magical talismans to ward off evil and sickness and attract all the things that people typically desire. We can see that a theme is building here: Ancient manuscripts transmit forgotten knowledge to a population that is eager for a spiritual revolution. Along with these new insights into the nature of the human soul comes ancient knowledge about natural magic which inherently is connected to gemstones, plants, and planets, and typically all three. In an attempt to purify his soul and obtain an enlightened state, Man embraces these new yet old ideas and in the process, transforms them into new magical theories and practices for the Renaissance man. It’s easy to see how this changing worldview could start to transform Western human society and its outlook on reality into what is has become today. The Scientific Revolution is traditionally held by most historians to have begun in 1543, when the books by Andreas Vesalius and the astronomer Nicolaus Copernicus were first printed. The scientific method was developed in 1637 by René Descartes. Even as late as the 1720’s we see scientific figures such as Isaac Newton, who famously discovered gravity, studying not only physics and mathematics, but also alchemy, the magical act of turning lead into gold and purifying the human soul. While Ficino and the Academy were translating ancient texts in Florence (1460's), Venice was enjoying the end of its Silk Road prosperity. For over a thousand years, Venice had been the entry point for the Silk Road into Europe. Goods were received by ship and then travelled with merchants who had trade connections throughout Northern Europe. Trade with Flanders was carried out mainly at the Champagne fairs where Italian merchants bought their goods. When the sea route started between the Western Mediterranean and the Atlantic, trade with Flanders was carried out directly by ship. A second route linked Venice with Augsburg, Nuremberg, Prague, and Vienna through the Brenner Pass. 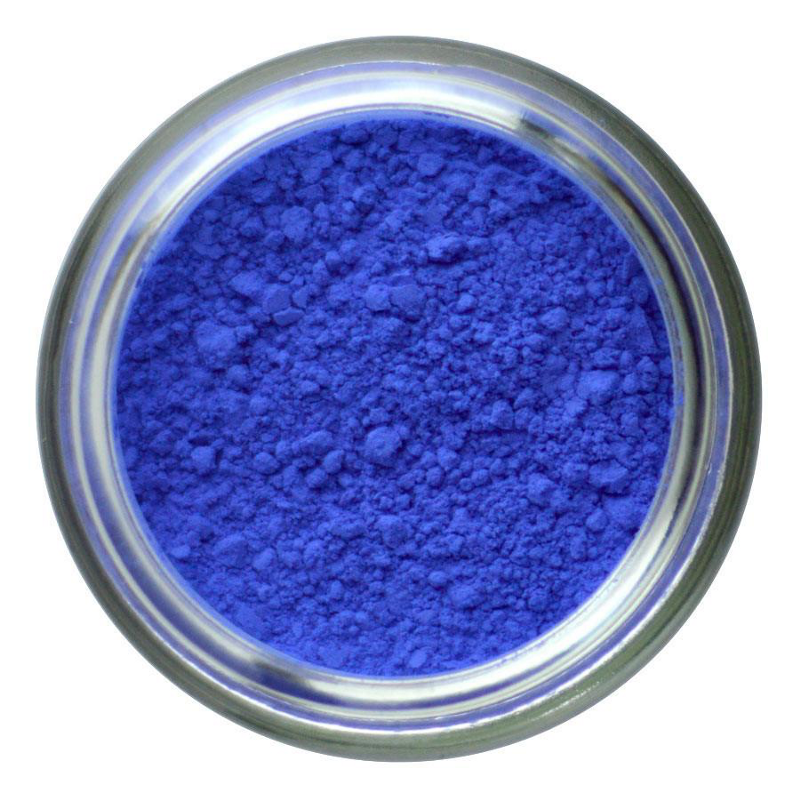 One of the specialty goods that Venice was importing from Asia was pigment. These new colors came to Europe from the East in the form of gems: Cinnabar from China was ground down to make bright red vermillion. Russian Malachite was imported to make a vivid green. 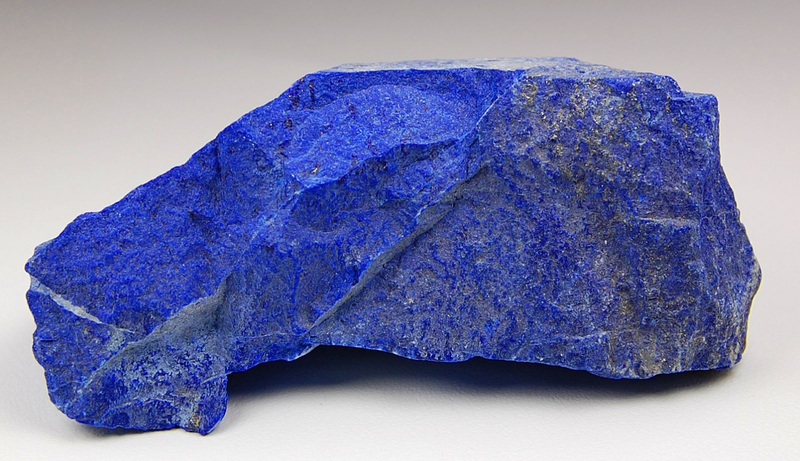 Most precious of all was Lapis Lazuli from Afghanistan that made a vibrant blue they called Ultramarine. The availability of these colors had a big influence on art as the Renaissance spread throughout Europe. 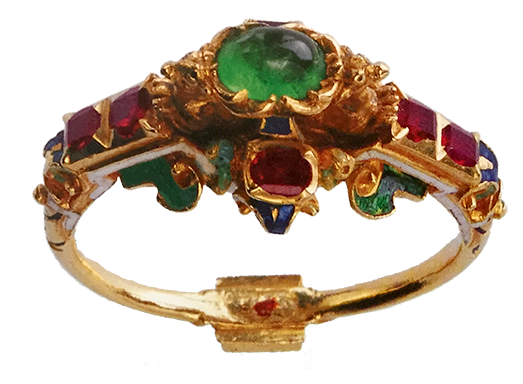 Aside from the stones used for pigment, Venice developed a reputation for being a trade center for gemstones and an early center for gemcutting. The art of cutting cameos and cabochons was a leftover skill from the ancient Roman Empire and the Venetians hadn’t forgotten it. By the time of Ficino, gem cutting technology had developed in Italy and Flanders and we have a few remaining records that offer details into the type of machine technology that was in use at the time. 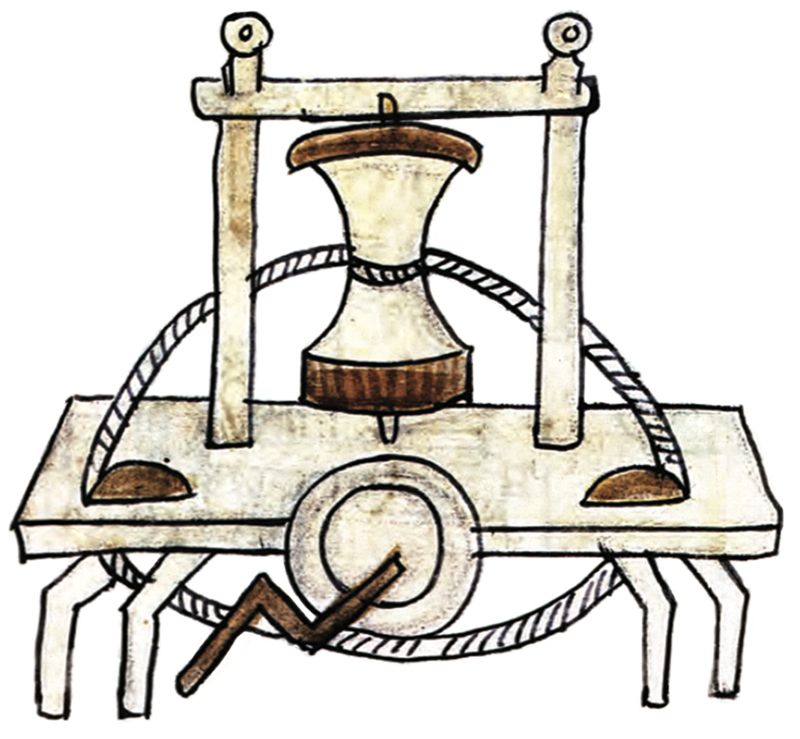 We find this crude drawing of a hand-cranked gemcutting machine in a German manuscript from the early 15th century with the inscription: “This is a polishing mill like that the grand masters of Venice have, on which one polishes all sorts of stones; it requires three polishing disks, the first is lead, the second is tin, the third copper.” In another manuscript depicting a similar machine the author tells us “This instrument serves to polish precious stones, the fragments of which are well-suited for medical use.” We can already see the connection forming between gem cutting and the making of medicinal (and magical) potions. During the first part of the sixteenth century, Antwerp gradually superseded Venice as new sea routes opened up. Flanders and Holland eventually became the dominant gemstone trading centers and we see new gemstone technological innovations happening in these regions. As the machines develop and gemstone cutting improves over the next few hundred years, the cutters developed the ability the improve the amount of light and color coming from the stone through more advanced cutting styles. Gemstones were supposed to be repositories of the planetary forces associated with them, e.g. Emeralds embody the virtues of Venus, etc. Therefore, cutting the gem so that more light can emit from it was thought to increase its magical potency. 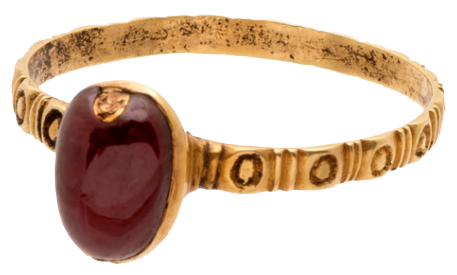 Graeco-Egyptian magicians also engraved magical names on to gemstones to increase their magical abilities even further. 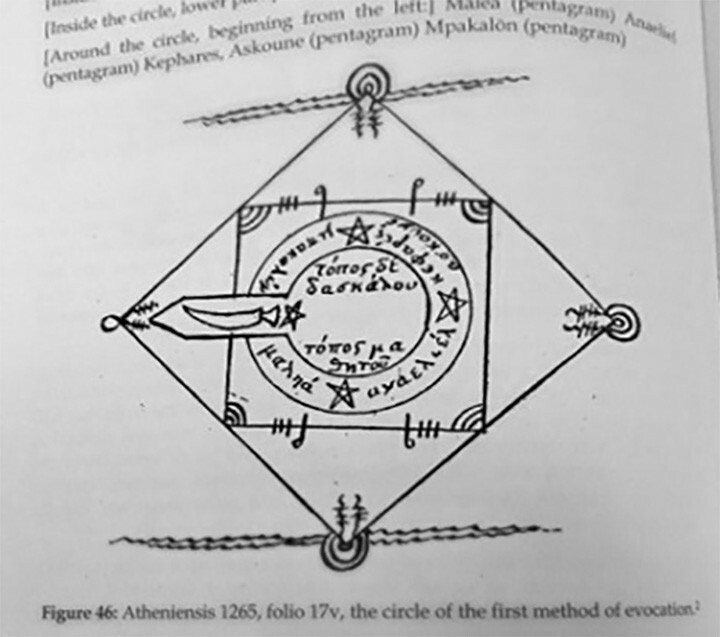 As we move into the 1500’s we start the see the first connections between the spheres of magic and gemstones. 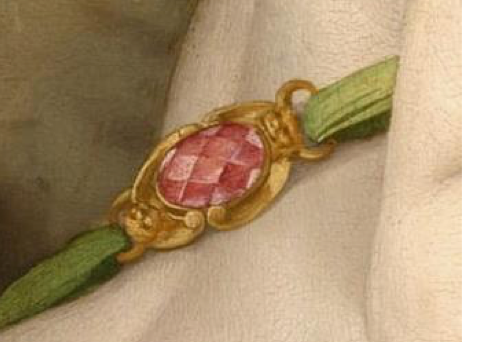 The first one is a distant connection: We have a painting by Agnolo Bronizo called “Venus, Cupid, Folly, and Time” (1545) which contains the first painted depiction of a rose-cut faceted gemstone ever in art history. 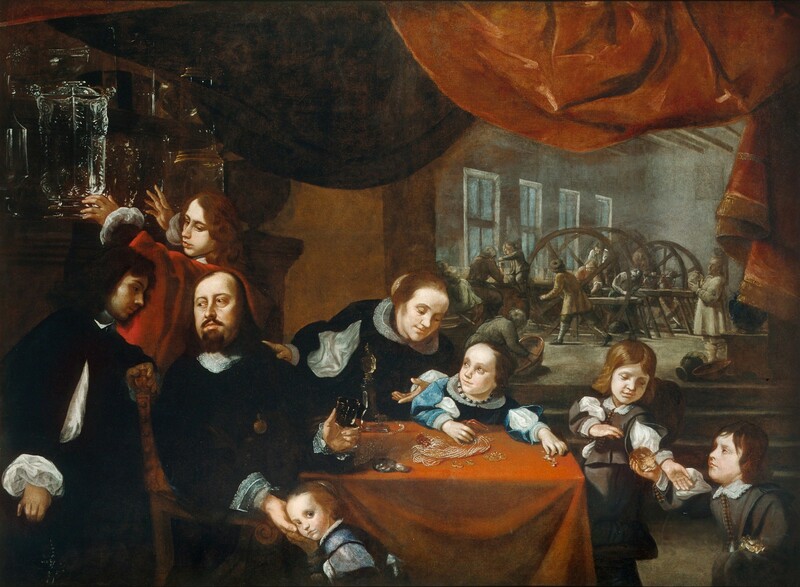 The painting was most likely commissioned by the Medici family. Though we are now 50 years after the death of the magician-priest Marsilio Ficino and 100 years after the death of his patron Cosimo ‘de Medici, we can see the Medici family is still financing important works of art. 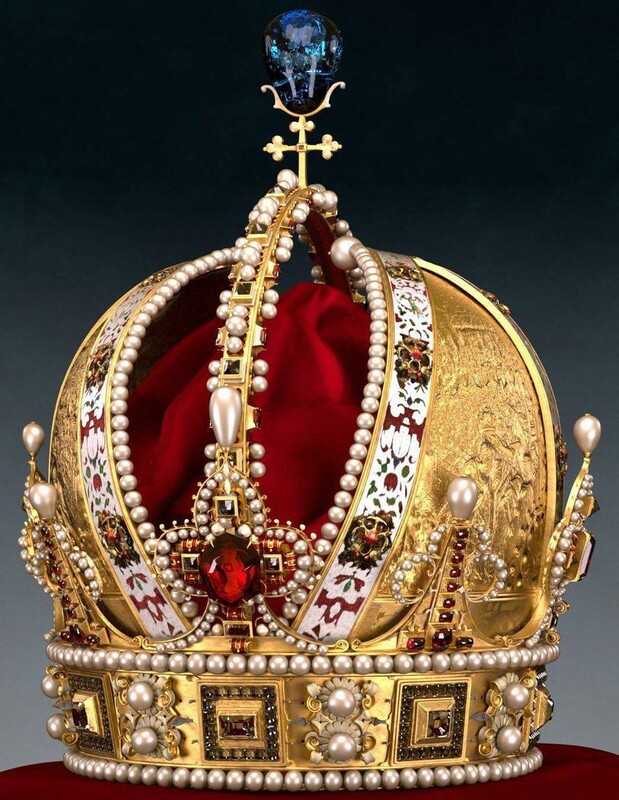 The Medici’s were financially responsible for introducing occult ideas into the Renaissance and now were likely financially responsible for bringing faceted gems into the world of fine art. Let’s jump ahead 30 or so years where we will find a new development in gem cutting and a more direct connection between the culture of gemcutting and the sphere of the occult arts. Rudolf II, Holy Roman Emperor (among other titles), moved his court from Vienna to Prague in 1583. Rudolph was a bit of an odd emperor and was more interested in occult philosophy and his mineral collection than with ruling nations. He moved to Prague to isolate himself from the drama-filled court life of Western Europe. Once he relocated, he invited an exciting array of astronomers, artists, philosophers, and occultists to live and work at his court. Rudolph was very interested in Alchemy and very interested in the magically-tinged philosophy of the time. The occult ideas that Ficino introduced to Europe 100 years earlier had since become mainstream topics of interest. We can see the Miseroni family in their sitting room playing with stones and pulling (now famous) quartz vases off the shelf. In the background, you can see the gem cutting workshop with his team of gem cutters running the mills and cutting and carving stones. Another important character in Rudolph’s court was his personal physician and the manager of his mineral collection, Anselmus Boetius de Boodt. De Boodt arrived in 1604 from Belgium and aside from his two main roles in the court, he also taught and practiced Astronomy and Alchemy. De Boodt followed in the footsteps of Ficino when he wrote his own lapidary manuscript, Gemmarum et Lapidum Historia (1609). Anselmus de Boodt was an avid mineral collector who travelled widely to various mining regions in Germany, Bohemia, and Silesia. Through his meticulous writings, de Boodt is credited with helping to establish modern mineralogy. Aside from listing the health benefits of certain minerals, offering theories on how minerals grow, and providing information on how to spot a fake diamond, he included a chapter on the techniques of gem cutting. This is a real treasure because through his descriptions and drawings we can see how the technology had progressed since its Italian/Flemish inception in the early 15th century. De Boodt was Rudolph II’s court physician from 1587 until Rudolph’s death in 1612. 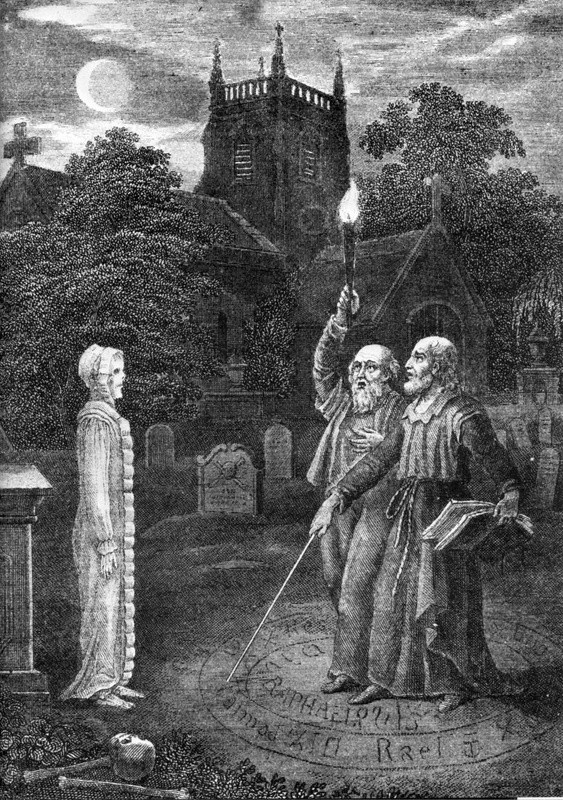 During this period, the alchemist and occultist John Dee arrived to the Prague court with his mystical sidekick Edward Kelley. Dee had been the spiritual advisor to Queen Elizabeth I, but by this point in his life, his reputation was failing and he had fled from the court of England to Poland and then to Bohemia where he set up an alchemical lab in Cesky Krumlov, 165 km south of Prague. John Dee was a student of the work of Marsilio Ficino and it seems likely that he and de Boodt would have gotten into some interesting conversations about gemstones and Alchemy. Dee was searching for the same grand unified theory that Ficino yearned for that would allow him to understand the hidden divine realities. What Ficino called True Philosophy, John Dee called Pure Verities. Dee and Kelley claimed that over the course of many years of looking into crystal balls and pools of water, angels had dictated several books to them in an angelic or Enochian language. Because of his work with Kelley and their discovery of the Enochian Keys (the angelic language), John Dee ended up becoming one of the most famous names in the history of Western Magic. Most of the work between Dee and Kelley happened while they were still in England but the last two years of their channeling of the angelic language happened after they relocated to Bohemia. Eventually, Dee and Kelley had a falling out. John Dee returned to England in 1589 and Kelley went on to be the full-time alchemist for Emperor Rudolf II. For two glorious years, de Boodt, who is remembered for his work in helping to establish modern mineralogy was serving as Rudolph II’s physician and writing his Lapidary while John Dee, one of history’s most famous magicians was regularly visiting to consult with the Emperor about philosophy, magic, alchemy, and the language of angels. 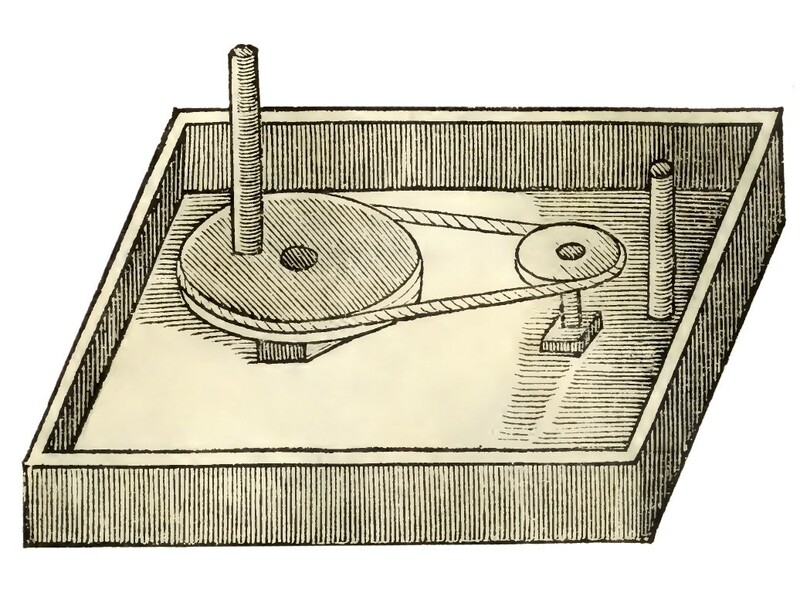 Imagine the magician John Dee, the medium Edward Kelley, and the alchemist-mineralogist Anselmus Boetius de Boodt, and master gemcutter Ottavio Miseroni sitting around the court pub after dinner, talking about improving the magical potency of gemstones through the new faceting techniques that were available because of the types of cutting machines they were using. We can only imagine what kind of interesting conversations must have gone on in the court of Rudolph II. It was an important moment for gem cutting, as new technology was being used to cut and polish the Bohemian garnets that were being exported around the world for the first time. It was an important time and place for occult philosophy as great thinkers such as Johannes Kepler and Tycho Brahe resided in the court and exchanged ideas with visitors such as John Dee and Edward Kelley in an open, supportive environment. The golden years wouldn’t last long. Rudolph II died in 1612 and the Renaissance period of art was considered at an end around 1600. It’s interesting to consider that for most of history, gem cutting was a secret art that was passed from master to apprentice through families or private workshops. Gem cutting was considered and is still considered a mysterious art form. Occult traditions have followed a similar path of remaining hidden for much of history, though for different reasons. 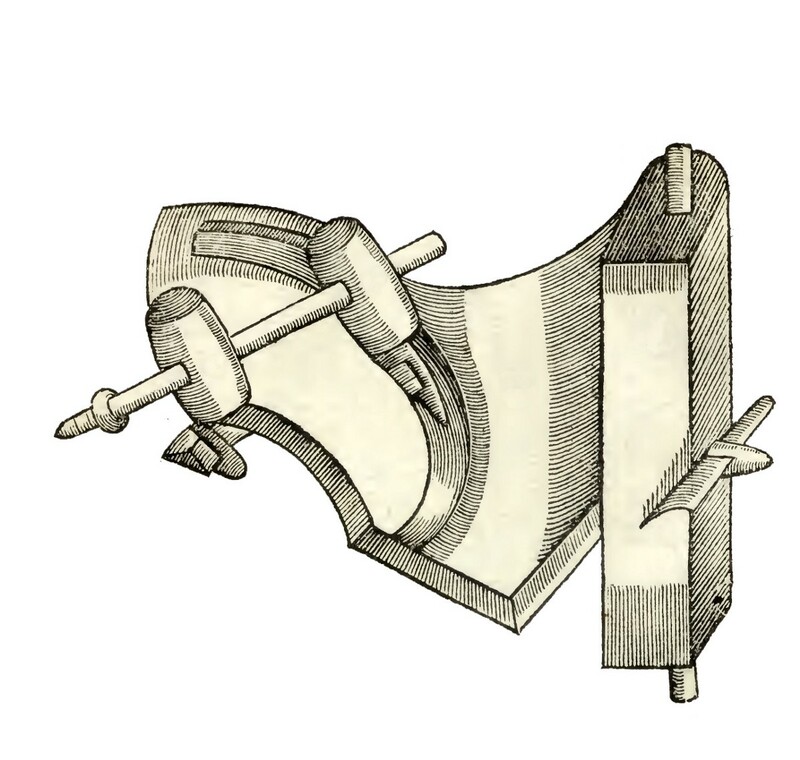 Gem cutters had their future business interests in mind when desiring to keep their cutting and polishing techniques a secret, whereas occult practitioners would have been in direct opposition to the Church which would have considered these occult ideas unnatural and heretical. Many occult and alchemical books of the Renaissance were written in code for this exact reason. It wasn’t until the early 20th century that we see the first books published with instructional gem cutting techniques. This was also a period in which occult ideas came back into the popular culture with figures like the magician Aleister Crowley publishing unencoded books about magic and making scandalous headlines around the world. By this time, the scientific perspective had become the dominant worldview and the Renaissance world of superstition and folklore had faded into the mists of time. To this day, gem cutters and and modern magicians remain on the fringes of Western society, both assuming an air of romance and shroud of secrecy, having forgotten their intermingled history of making magical artifacts and medicines through the process of lapidary craftsmanship and esoteric rituals; neither remembering when the Master Magician and the Master Gem Cutter exchanged the secrets of their crafts in the magical court of old Prague. Justin K Prim is an American gem cutter and gemologist living and working in Bangkok, Thailand. He has travelled all over the world, studying various types of meditation techniques, psycho-spiritual healing therapies, as well as his trade skills of audio engineering and gemcutting. He is in the process of publishing two books, the first is about a spiritual quest through the UK to find the hidden heart of Merlin the wizard, and the second is a book about the worldwide history of gemstone faceting. He has explored careers in spiritual counseling and energy healing but now works as a Gemstone Faceting Instructor in Bangkok as well as writing articles, producing videos, and giving talks about gem cutting history.